We've found some great gift ideas to welcome new babies into this world. Baby showers will begin popping up for Spring soon and we're offering some great ideas for you to gift. Here are some great baby stuff moms and babies both will love. Diaper booster pads. 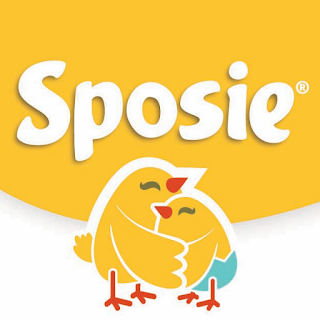 Made in the USA from chemical and cruelty free material,Sposie booster pads are the only super absorbent diaper inserts guaranteed to stop overnight leaks! Perfect for helping baby sleep better! o Just in time for Valentine’s Day, Your baby will glisten and giggle while washing up with Just Born Sparkle Washcloths in Pink. This 4-pack of super soft washcloths comes in coordinating white and blush pink colors with touches of gold shimmer. Soft woven cotton washcloths allow you and your little one to be prepared for Valentine’s Day in style. 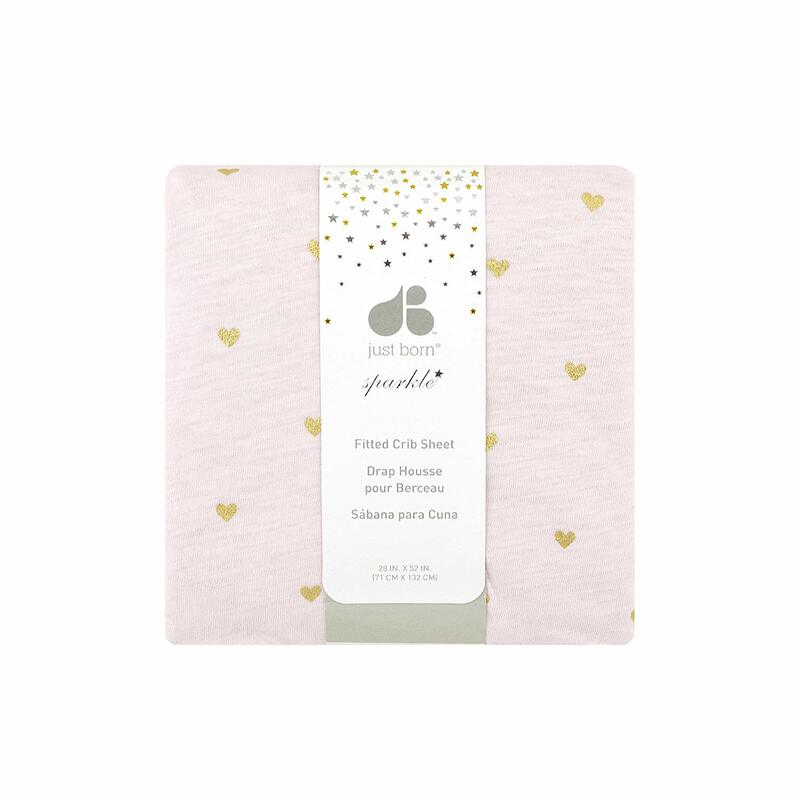 o You and your little dreamer will love the pretty shimmer and shine of Just Born's Sparkle Fitted Crib Sheet. With heart shaped glimmer designs all over, the soft cotton sheet will add a touch of Valentine’s spark to your nursery. A 3 stage extra padded play gym that easily transforms into a supportive, upright, portable seat enabling baby to sit, play, and interact with the world while sitting upright. · A battery operated motion activated musical plane. · A large double sided tummy time pillow with loops for easy toy attachment. · A large baby safe mirror for hanging on arch or standing on mat. · A royal teething rattle. · An easy to grasp dog rattle with colorful sliding beads. · Easily folds for convenient storage or travel. The Tiny Princess Tales Take Along Mobile is an adorable toy that gives baby a sense of familiarity while on the go, soothing baby with relaxing tunes and slow motion that encourage EQ. It offers 30 mins of continuous music featuring 5 different tunes. The Take Along Mobile features sweet characters from the Tiny Princess Tales™ collection that inspire and engage babies’ imagination at home and outside. The Take Along Mobile has a designated connector for each mode of use: universal attachment clip lets you hang the mobile on cribs, strollers, bassinets, or nightstands. 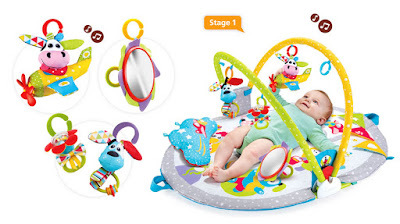 The Take Along Mobile makes for a great baby shower gift as its super versatile and helps keep baby entertained, including for those on-the-go moments when babies might get fussy, while also stimulating their development and growth. **Watch this spot for upcoming baby gift ideas for Spring 2019 coming soon. Thank you so much for sharing the baby shower gift guide here. I loved taking a look at these details. 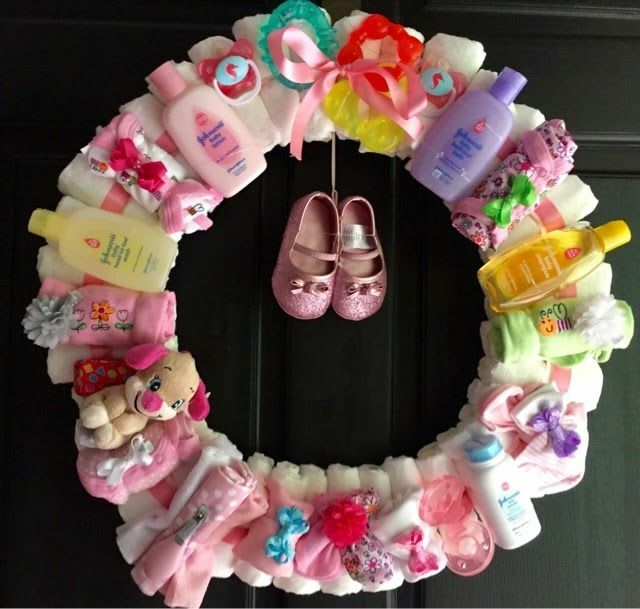 I too would be hosting the baby shower for my cousin at one of the indoor event venues Chicago and would love to make this wreath with baby essential. Will use it as backdrop and then will gift it to the mommy to be.